BUFFALO -- Rasmus Dahlin hasn't played a minute in the NHL, but experts already are comparing the 18-year-old from Sweden to some of the League's biggest names, past and present. 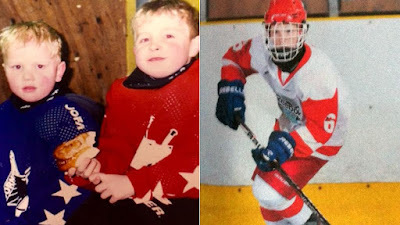 They liken his game to those of Hockey Hall of Famer Nicklas Lidstrom and current NHL defenseman Erik Karlsson, and tout him as a generational player, capable of taking after Sidney Crosby, Connor McDavid and Auston Matthews. But amid the comparisons, the biggest compliment of all might be this: Scouts, coaches and players who have been around the left-shot defenseman, expected to be selected No. 1 by the Buffalo Sabres next month in the 2018 NHL Draft, say he should make a name for himself in the NHL in no time. "Dahlin will be to a franchise and defensemen what Connor McDavid and Auston Matthews are to their respective teams as centers," said Craig Button, director of scouting and NHL analyst for TSN, and a former NHL general manager. "He's a franchise-defining, elite No. 1 defenseman. I think he can play in the NHL right now; he's that good. His command of the game everywhere on the ice is unbelievable." 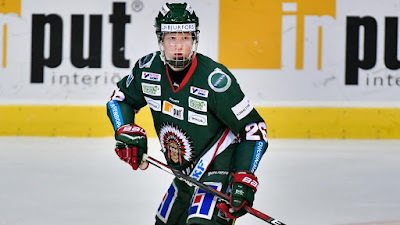 Dahlin's chances of making a quick impact in the NHL seem quite believable, though, especially after he played for Frolunda of the Swedish Hockey League as a 16- and 17-year-old the past two seasons; the average age of the Frolunda players this season was 25.35. "[McDavid and Matthews] are phenomenal players and when you watched them as 16- and 17-year-olds, you thought they were special," Washington Capitals assistant general manager Ross Mahoney said. "Watching this young fellow, at the same age, it definitely looks like he has a chance to be a special player too." That's why the Sabres are expected to take Dahlin in the draft, to be held at American Airlines Center in Dallas on June 22-23, and immediately pencil him into the lineup. "I've been watching on YouTube and, boy, it's incredible," Buffalo coach and Hall of Fame defenseman Phil Housley told The Buffalo News on Friday. "He's going to be a complete package in today's NHL." Seven of the 13 defensemen selected No. 1 in the NHL Draft have stepped right into an NHL lineup the following season. "There's no doubt he's playing in the NHL next season," New Jersey Devils director of amateur scouting Paul Castron said. "He's played two seasons with men already so I don't see it being an issue. It'll be a little bit of an adjustment on the smaller ice surface but he'll adapt quickly because he's that smart of a player. He'll figure it out." The last time a Sweden-born player went No. 1 in the NHL Draft was in 1989, when center Mats Sundin went to the Quebec Nordiques. Lidstrom was also selected in that draft, by the Detroit Red Wings in the third round (No. 53). Lidstrom spent two more seasons with Vasteras in Sweden after being drafted and joined the Red Wings in 1991-92. Karlsson, the No. 15 pick in the 2008 NHL Draft, spent another season with Frolunda before joining the Ottawa Senators in 2009-10. But Par Johansson, Dahlin's defense coach in Frolunda the past two seasons, said his pupil is more than ready to make the jump to the NHL. "I usually talk prior to the season with all our defensemen on the team about what we're aiming for," Johansson said, "and Rasmus has been aiming for 2017-18 as his last season in Frolunda. We watched video, focused on what he needed to do to play at the next level." And when he gets there, his game might look familiar to NHL observers. Dallas Stars director of amateur scouting Joe McDonnell spent 18 years in the Red Wings scouting department. He was a part of four Stanley Cup championships with Detroit and was there when Lidstrom was in his prime as the backbone of the blue line. And he is among those comparing Dahlin with the Hall of Famer. "Rasmus Dahlin is so composed and does so many of the little things that you just can't teach like the intelligence, and patience with the puck," he said. "It's stuff that comes naturally to him, and that's the same way Nicklas Lidstrom was in Detroit." Castron said, "I've heard stuff where Lidstrom says Dahlin is way better than he was at the same age. As far as the way they play, Lidstrom and Dahlin never seem to really get hit. Lidstrom wasn't a physical player, and Dahlin is competitive but not out there crushing people. He's just smart." Sundin, who was drafted at 18, said it is too soon to make such a comparison. "You're a kid. I was in the same position coming over and I was far away from being developed physically to play against the best players in the league," the Hall of Famer told Sportsnet on Friday. "Give Rasmus -- just like Lidstrom -- you give him two, three years in the National Hockey League, he's going to be a superstar in the League for many years." Tomas Monten, who coached Dahlin and Sweden to a silver medal at the 2018 IIHF World Junior Championship, won a gold medal last week as an assistant for Sweden at the 2018 IIHF World Championship, where he coached Arizona Coyotes defenseman Oliver Ekman-Larsson. "I compared Dahlin to (Tampa Bay Lightning defenseman) Victor Hedman when I had him in the World Juniors because of the defensive and physical parts of his game," Monten said. "Both are really skilled and good offensively, but they can each defend and play with an edge to win battles. But after coaching at the World Championship, I also see a lot of Ekman-Larsson in Dahlin because they are skilled players who can play all situations." Frolunda captain Joel Lundqvist went a step further in comparing Dahlin to his countrymen. "I haven't seen this talented a player in Sweden, at this age," said Lundqvist, a forward who played three NHL seasons with the Stars (2006-09). "Hopefully Rasmus takes the steps that McDavid and Matthews made to become superstars at a young age. "He'll move to North America from Sweden and that'll be a big thing, but he has the qualities, for sure, to be a big star in the NHL." Former NHL forward and current TSN hockey analyst Ray Ferraro said Dahlin defends like Lidstrom and skates like Karlsson, a two-time Norris Trophy winner as the NHL's top defenseman. But Lundqvist said it's difficult for him to compare Dahlin to any other player because he is so unique. "Rasmus is a different player than Karlsson," said Lundqvist, 36, the twin brother of New York Rangers goaltender Henrik Lundqvist. He played with defensemen John Klingberg (Stars) and Johnny Oduya (Philadelphia Flyers) and forward Loui Eriksson (Vancouver Canucks) with Frolunda before they went to the NHL. "He skates differently, moves differently and has his own style. Rasmus has a lot of stuff that the other top defensemen in the game have, but I just think he uses those skills a little differently. "Karlsson is more explosive when he moves, and Rasmus is trickier, in a lot of ways." Dahlin said he isn't too concerned with the comparisons but does hear about them. "It's fun to hear that but I can't even think about comparing with [Karlsson] because he's so good," Dahlin said. "He's the best player in the world. His passes are unreal and he has a great hockey mind. "When I was younger I very much enjoyed watching (Hockey Hall of Fame center) Peter Forsberg and when he retired I began watching Karlsson." Frolunda coach Roger Ronnberg said Dahlin has the same great characteristics as many of the best Swedish players he's coached, including Forsberg. He also said he might be the most stubborn player he's ever coached because even when he tells him to slow down, Dahlin feels there's more to give. "Dahlin has all the skills you want in a player," Castron said. "He's one of those players always a step ahead of everyone else. The game slows down for him and he can make difficult plays look so easy under pressure." Dahlin is not just being compared to distinguished countrymen and defensemen, but to Crosby, McDavid and Matthews, centers who went No. 1 in the NHL Draft. "Defensemen don't necessarily always have the puck as much as forwards, and McDavid is so explosive and Matthews so strong," Castron said. "Dahlin isn't asked to do a lot of those offensive things that forwards are responsible for doing as far as production, so it might not be a slam dunk to label him a generational talent as like a McDavid or Matthews, but I will say it's pretty close for the position he plays." Scouts aren't the only ones evaluating Dahlin's game. Johansson said he and Dahlin occasionally got together to watch video of current or former NHL defensemen, but that "it's also interesting to note that a lot of defensemen here in Sweden are watching video of Dahlin to try and learn something, too." Asked if he knows any players who have watched video of Dahlin, Lundqvist said, "I think a lot of players can learn from him, for sure. Just the small stuff with how he reads the play and can play the puck in tight situations. It's very impressive if you look him up on the internet. It wouldn't surprise me if a lot of players like to watch him." People were watching Dahlin online after his signature moment March 25, 2017, in the SHL quarterfinals. 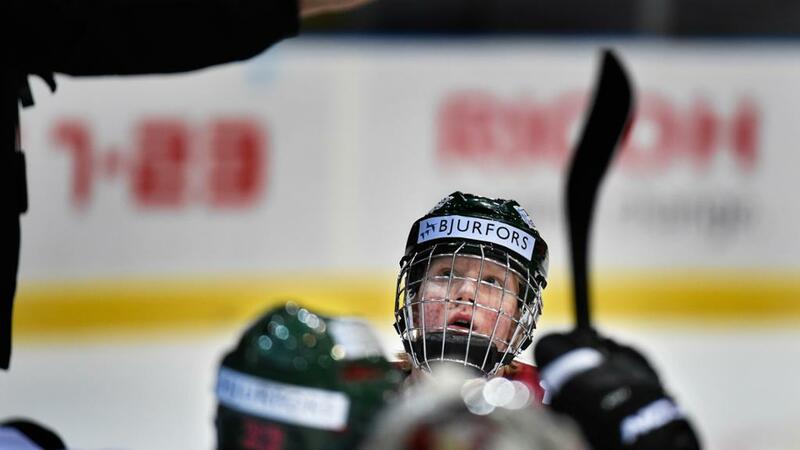 Frolunda, the defending champion, trailed the best-of-7 series 3-1 to rival Skelleftea. Game 5 was tied 0-0 in the first period in front of a capacity home crowd at the Scandinavium. Frolunda needed someone to make a play and provide a boost of energy, and 16-year-old Dahlin made it happen. He scored a power-play goal to give Frolunda a 1-0 lead late in the first period of a 4-1 win, and the highlight-reel play went viral. After controlling a drop pass in his end, Dahlin maneuvered through all four Skelleftea players and took a wrist shot from the slot for his first SHL playoff goal. The entire sequence took 10 seconds. He got a standing ovation, and Frolunda went on to win the series in seven games. "I don't remember anything about the goal. I kind of blacked out," Dahlin said. "I don't know what I did, but it went good." Dahlin doesn't seem fazed by the hype surrounding him entering the NHL Scouting Combine, taking place Monday through Saturday in Buffalo at KeyBank Center and HarborCenter. For someone who at 16 was the first player born in 2000 to play in Sweden's top league, the combine is just another chance to prove he's ready for the big show. "I've been working out every day to be a better hockey player," Dahlin said. Dahlin (6-foot-2, 181 pounds) has held his own from a physical standpoint, but McDonnell said he won't need to excel in that area to be considered an elite NHL defenseman. "Lidstrom knew how to get in people's way," McDonnell said. "It's just like Dahlin. You never want to overexert or hurt yourself with physical play, that's not his game. It wasn't Nick's game. It's just being in the right place at the right time. That's how Dahlin plays the game because he's so smart." Lundqvist said that Dahlin has proven in two SHL seasons that there is an edge to his game. "He's still growing and has a lot of hours left in the gym, so I think he'll use his body even more," Lundqvist said. "He's tall, so he has the size and can move well. He can play any situation and we saw that during practices in Frolunda. He doesn't back away and is a tough kid." Dahlin, who can play the left or right point and quarterback the power play, had 30 hits and 36 blocked shots this season. "I like it very much when there's hitting in the game," Dahlin said. "This is a tough game, so it doesn't bother me. I like it when the game is on fire." 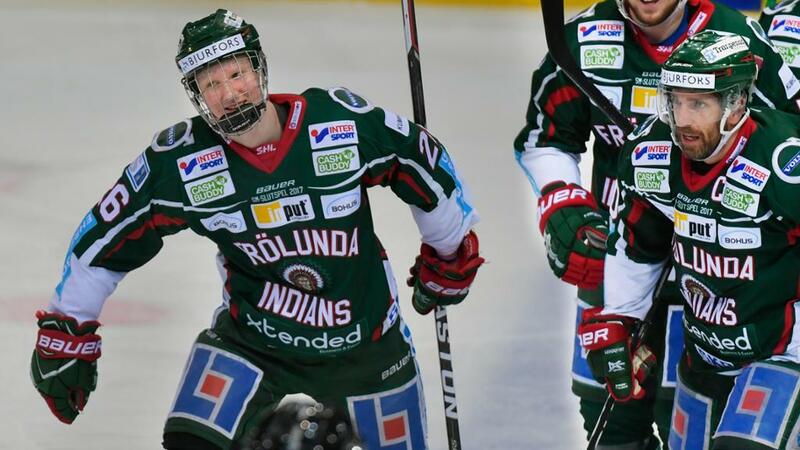 Dahlin had 20 points (seven goals, 13 assists), a plus-4 rating and 84 shots, averaging 19:02 of ice time in 41 games for Frolunda. He was the highest-scoring under-18 defenseman in the history of the SHL with 23 points (eight goals, 15 assists) in 67 games. He won best defenseman honors at the 2018 World Juniors, finishing with six assists, 25 shots and a plus-7 rating. "He's a pro," said Sweden teammate and New York Rangers forward prospect Lias Andersson, 19. "He's so young but it feels like you're playing with a 30-year-old. He's going to be an elite-type defenseman for 20 years in the NHL. He's got the full package. He can shoot, he can skate, and has the brain and hockey sense. He's a complete defenseman." Los Angeles Kings defenseman prospect Jacob Moverare, another teammate at the World Juniors, played in the SHL for HV71. "I've known how good he was," said Moverare, 19. "It was an honor to play with him because he's so exceptional." Dahlin was born in Trollhattan, Sweden, and raised in Lidkoping, a town of 25,000 on the shores of Vanern, the largest lake in Sweden. His mother, Asa, played bandy, a sport played on ice, in which skaters use sticks to direct a ball into the opposing team's goal. His father, Martin, an assistant for Sweden's under-17 national team, is a former player, most recently with Lidkoping in Sweden's third division in 2010-11. Brother Felix, 20, played for Lidkoping's junior team before retiring from hockey last year. Sister Ella, 13, plays soccer. 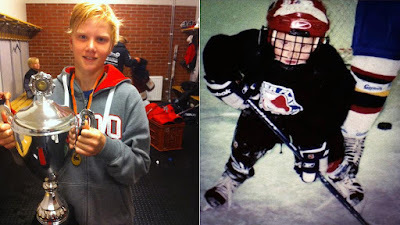 "He was a very active kid, always biking, skateboarding or playing street hockey," Martin said of Rasmus. "Soccer was probably Rasmus' second-favorite sport, but I think when he turned 14, that's when he began to take hockey more seriously. He and his friends were playing soccer and hockey at the time, but Rasmus always found hockey to be more fun. 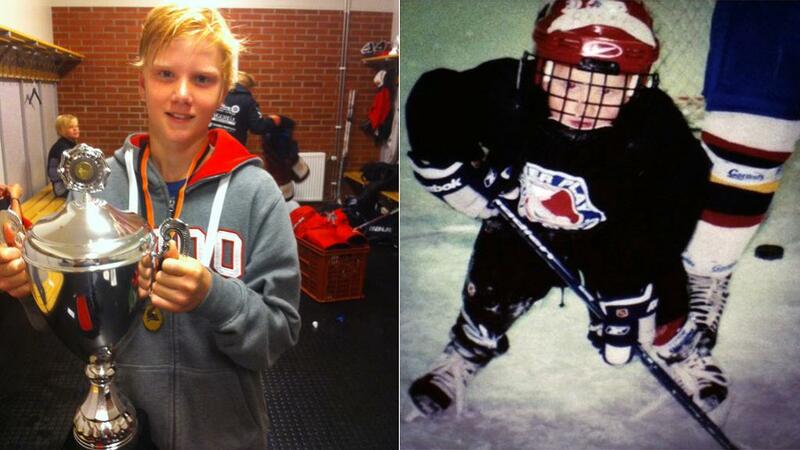 Rasmus and Felix loved to play together and I think that was another reason why he liked [hockey] so much." Dahlin said his dad coached him until he was 15. Around that time the Frolunda coaching staff took special notice of him. When he turned 16, his coaches thought it best for his development that they promote their prodigy to Frolunda's senior team in the SHL from the under-18 team. "Not only was that beneficial for him but it was amazing to see a 16-, 17-year-old doing that," Castron said. "He wasn't just sitting on the bench and playing a few shifts, either. He played big minutes and played in all situations because it all comes down to the fact he's got the hockey IQ to play anywhere they needed him to play." Johansson remembered Dahlin making quite an impression in his first practice. "He got the puck on the blue line and a guy skated right at him, so he put it between the legs, jumped inside, took the puck again and top-shelfed it," Johansson said. "We just looked at each other and said, 'We can't keep him away from this level anymore.'" Given how advanced Dahlin has proven to be, it figures that he was the youngest player by seven years on his country's roster for the 2018 PyeongChang Olympics. He played in two of the four games for fifth-place Sweden, finishing with one assist and one shot. Between playoff games for Frolunda, international tournaments with Sweden and media requests, it was a busy season for Rasmus, but Martin said his son has handled everything in stride. "Of course, I'm surprised [Rasmus] is playing this good ... but at the same time I'm not because I watched him and know how much he's been working," he said. "He's been practicing extremely hard, and we're proud of him." 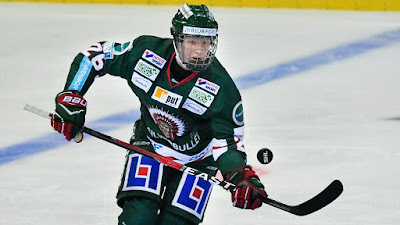 Johansson worked hard with Dahlin the past two seasons with Frolunda, and the defenseman said the coach was a big influence, teaching him "how to play hockey for real in the defensive zone and be tough. There are small things on the ice you need to do to have success and he taught me very much." Johansson said the fact Dahlin put in the effort to not only play, but train on the men's level, was important. "There was nothing more we could teach him," Johansson said. "He has that natural ability. We worked a lot last season on skills without the puck. Playing defense and playing 1-on-1 situations, winning battles along the boards and in front of the net. "We worked on boxing out, picking up (opposing) sticks and being aware of where to be because when he has the puck, he knows what to do. We talked about how to play in a system and put defense first." Frolunda general manager Fredrik Sjostrom, a former NHL forward, had a much more colorful way of describing how well Dahlin plays the position. "In Sweden, we say [Dahlin] has the vision of a mosquito," Sjostrom said. "If you try and hit a mosquito, the mosquito can get away because it can process in slow motion. That's kind of how Rasmus is. He never gets caught or is put in a bad situation because it doesn't ever come to that. He can see where the guy is going and move the other way. It looks easy, but I know it isn't. I played this game, and I could never do the things he does." For now, Dahlin said he intends to continue to build his body this offseason for the rigors of the NHL, where he hopes to draw on all that he has already learned and achieved. "My coaches and teammates in Frolunda have helped me so much," Dahlin said. "I think they're excited and I think they're proud. We haven't talked about what's to come, but more about eating right and training to make sure I'm ready for whatever happens. "I'm not too concerned with where I'm going to be picked in the draft because that's just a number. It's what you do afterwards that matters most."